iSuppli 's new research predicts 7.7 per cent growth in units this year in China, bucking the global trend. 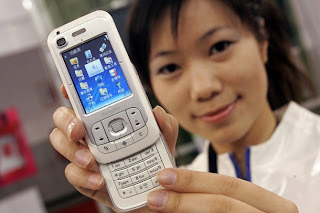 iSuppli says sales of mobile handsets will reach 239.1 million units in 2009, up 7.7 percent from 2008 and defying an expected 10.7 per cent global decline. Despite the recent awarding of 3G licenses, the research predicts that low-cost multimedia GSM and ultra-low-cost CDMA handsets should be among the best-selling devices in China this year. Smartphones and handsets supporting 3G and the China Mobile Multimedia Broadcasting (CMMB) standard will represent high-growth segments. In terms of total unit shipments, iSuppli says Huawei and ZTE are likely to be the leaders in China’s 3G handset market. Both shipped more than 30 million units in 2008. Foreign handset OEMs accounted for 56 per cent of China’s handset market last year.